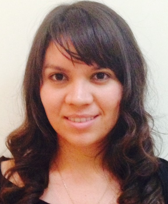 Diosara Castillo is the Director of Social Responsibility and Community Outreach at Universidad Latina in Costa Rica. In this capacity, she leads their YouthActionNet institute, Premio Yo Creo, as well as other programs in the community. Diosara has worked for over 10 years in different initiatives that use recreational activities to target drug abuse, high school attrition, academic success, violence and self-esteem of children and adolescents in underserved communities. Diosara previously worked as the International Office Director at Laureate Costa Rica, where she developed several training programs with a focus on sustainability, and service learning. She also was involved with the communication department of the Foundation for Peace and Democracy FUNPADEM (its acronym in Spanish) a non-governmental organization that supports sustainable human development in Central America. Diosara is a Communication specialist with a Master’s Degree on Project Management.